I CANNOT remember the occasion of my first encounter with Deji Omotoyinbo. What I do remember was an episode early in our careers as sports journalists when he invited me to appear on one of his programmes at DBN Television. The DBN Television studio was located at the penthouse of one of the three high-rise blocks that make up Eko Courts on Victoria Island, Lagos. The lifts weren't working, so I had to take the flight of stairs to the 21st floor and on to the penthouse. Unfortunately for me, it turned out that I had climbed the wrong block, so I had to descend 21 floors and climb another 21 floors in the right block to finally locate the DBN studio. Eureka! you might want to say, but hold it, not so fast! I arrived to find Deji lounging on a couch at the studio reception. He was looking forlorn, disheveled and morose. When I narrated what I'd just gone through, he couldn't apologize enough; he just wanted to cry! In those days, power generators weren't common place and most Nigerians simply prayed and waited on the National Electric Power Authority (NEPA) to “bring light.” But on this particular day, NEPA refused to answer our prayers, the recording had to be called off and I was faced with another 21 floors of stairs to descend. What a terrible, horrible day! So, when Deji Omotoyinbo writes a book on Sportscasting and says in the preface that the job of a sportscaster is one of the most exciting and fulfilling, yet most challenging and frustrating on the planet, he knows exactly what he is talking about. The story that I have just narrated was one-day experience for me. But I guess the exhausting climbing of 21 floors of flights and the frustrating NEPA failures were a daily routine for our author for the most part of his budding career at DBN Television between 1994 – 1998. It is just a shame that nearly 20 years after, not much has improved in the power situation in Nigeria. What an unusual introduction to a book review you might want to say, but I have taken these liberties because this is a book about a subject where we the practitioners enjoy a lot of freedom. Sportsmedia practice, either sports writing or sportscasting, have never been fully bound by the rigid rules of mainstream media practice. In sports, we journalists are experts who always know better than the coaches and administrators! The main title of the book, THE BASICS OF SPORTSCASTING, comes with a kicker which describes the work as “A Simple Guide on How to Build a Successful career,” presumably in sportscasting. It is a book of 10 chapters and 120 pages. It is published in December 2016 by Iven Team, based in Ikeja – Lagos, Nigeria. The ISBN number is 978 978 954 736 4, it is a first edition and cover design was done by Sola Ibeneme. The author, as stated earlier, is Deji Omotoyinbo. CHAPTER ONE is titled “The 7 Point Checklist.” The author opens with a list of attributes without which he says one cannot excel as a sportscaster. These attributes are passion, discipline, dedication, perseverance, originality, teamwork and objectivity. IN CHAPTER TWO, “The Studio, Your Home,” the author prepares the mind of the budding sportscaster for spending “long hours in the studio.” He discusses the two main types of studios, the Live Studio and the Recording/Production Studio and how each functions. He provides a list of traditional studio components for television and radio, explains types of sets – Real and Virtual, the function of the Master Control Room (MCR) and the basic rules of the Do's and Don'ts in a studio. However, the author concludes the chapter on page 22 with an ominous message that “The studio is not the show!” His argument is that “no matter how sophisticated or aesthetically pleasing a studio is, it will not validate an ill-prepared Sportscaster or badly packaged show.” Very true. CHAPTER THREE is on “Scriptwriting – The Soul of Sportscasting!” This is a very apt description by the author because, indeed, without a script, there could be no production. The author defines what a script is, what a story is, what is news and he lists the rudiments of good script writing as the traditional “5Ws and H” of news writing: What, Who, Where, When, Why and How. However, the author highlights the “Why” in sportscasting because, in his words, it “falls into the realm of analysis” where opinions can be expressed freely. Furthermore, the author provides some keys to a good script. These include picking an angle or perspective to a story, timing depending on length of time allotted, cross-checking facts and figures for accuracy, never including personal opinion and keeping the script short and simple represented by an acronym: KISS. (keep it short and simple). IN CHAPTER FOUR, the author describes various types of news gathering techniques on pages 34-40. CHAPTER FIVE focuses on Content Creation with the author emphasizing on page 42 that “Every Sports show should be designed to entertain.” He provides a lists of techniques for information and education programmes and follows this up with the characteristics of a good sports show some of which include adding value to the audience, providing additional information, avoiding vulgarity and sticking to the facts. CHAPTER SIX is on Programmes Production – from Idea to Reality. The author underlines the fact that every programme starts with an idea. He goes on to explain the four main stages in production which are conceptualization, pre-production planning, production and post-production. He noted that a major consideration in sports programming is the issue of rights as visuals cannot be used on programmes without the permission of the rights owner. Not surprisingly for me, CHAPTER SEVEN is the most voluminous in the book and that is because it discusses a subject where the author has made his mark, SPORTS PRESENTATION. He creatively used an acronym with the same 12 letters (P.R.E.S.E.N.T.A.T.I.O.N) to capture his 12-step guide to becoming an excellent sportscaster. These letters are P for Passion; R for Research; E for Entertainment; S for Simplicity; E for Education; N for Neutrality; T for Trust; A for Attitude; T for Teamwork; I for Innovation; O for Originality and N for Naturalness. PRESENTATION! How can any budding sportscaster forget that! To save time and space, I will only quote three references from the 12 guides on presentation listed by the author. Chapter seven also features the only footnote in the entire book where the author mentioned the importance of correct pronunciation, especially of the name of sports personalities. CHAPTER EIGHT looks at Sports Presentation Types. The author admonishes sportscasters to discover their strengths and specialize in any presentation category such as anchor, co-anchor, segment presenter, field/beat reporter, commentator, voice-over specialist or analyst/pundit. I disagree with this assertion by the author because, while not all sports fans are analysts, all analysts are first and foremost sports fans. By nature, fans have their favourite star athletes and/or teams. In fact, during international events such as the FIFA World Cup, all pundits/analysts are primarily fans of their country's national teams. But being fans still doesn't stop them from being critics of their teams. There was a time Nigerian fans and pundits labeled the Super Eagles as Papa Eagles because the team was not performing well. Ironically, the author seems to agree with me when he talked about neutrality in presentation on page 68. He says: “All sports fans, sportscasters inclusive, have individual preferences in terms of teams and players.” The key point is to know when and where to draw the line between being a fan and an analyst. THE FINAL CHAPTER (chapter 10) of the book is appropriately titled Sportscasting Career Tips. The author delved into his wealth of experience to advise budding sportscasters on how to excel in a very competitive industry. He advises them to be ready to pay their dues, multi-task, carve a niche for themselves, be humble, and have fun while pursuing their careers. He concludes by recommending further readings and personal development courses in a continuous quest for excellence. I find the majority of the author's claims and admonitions in this book as time-tested professional principles that define successful careers in sportscasting. My only major area of disagreement is in chapter nine which I have addressed. Otherwise, the breezy and concise presentation style and format of the book and the lucid prose in which it is written are attributes the book shares with the author and which make it so enjoyable to read. The author's profile on the back of the book mentions “90 Minutes” as one of the television programmes he has been involved in producing. Well, it took far less than 90 minutes for me to read The Basics of Sportscasting from the cover to the back. The moment I started reading, it was simply unputdownable! I started this book review with a personal story and I will like to end it with one. Several years ago, I was in my bathroom preparing for the day's work when Sports Express, the daily morning sports news radio show headlined by the Sportsvision crew of Deji Omotoyinbo, Deji Tinubu and Bode Oguntuyi came on the air-waves. Ladies and gentlemen, I was referring to Deji Omotoyinbo. 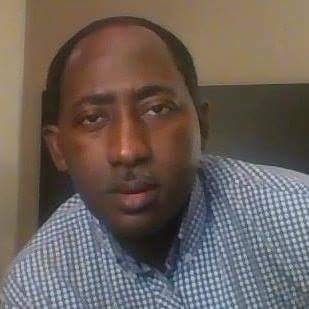 And I hereby restate voluntarily in public what I pronounced involuntarily in the privacy of my bathroom on that fateful day: Deji Omotoyinbo is the best of his generation in Nigerian sportscasting. If you buy a copy of his book, The Basics of Sportscasting, you're buying a book by a legend.